Here is another masterpiece by Chhotebhai, a treatise on the increasing hullabaloo we are witnessing across India, all in the name of Religiosity and less Spirituality. The organisers/ processionists do not care for any civic norms by making the local administration look like puppets. 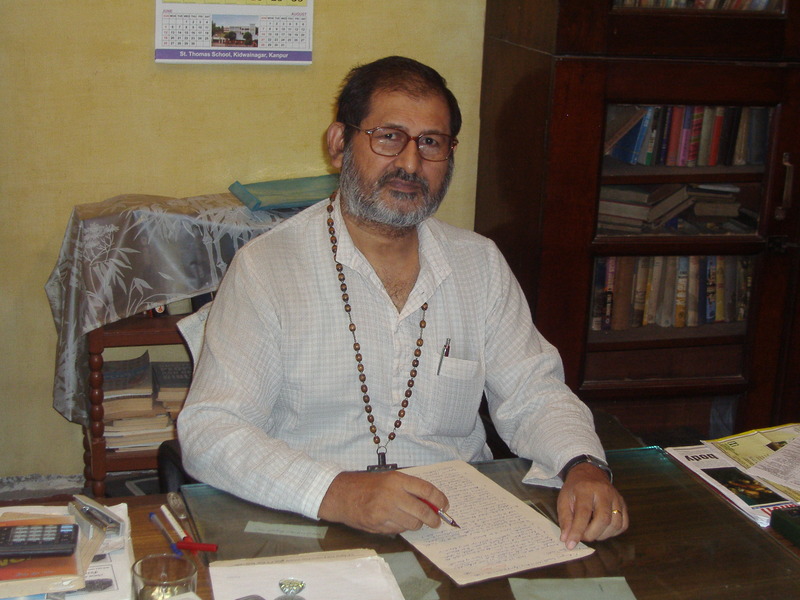 Isaac Gomes, Asso. Editor, Church Citizens' Voice. 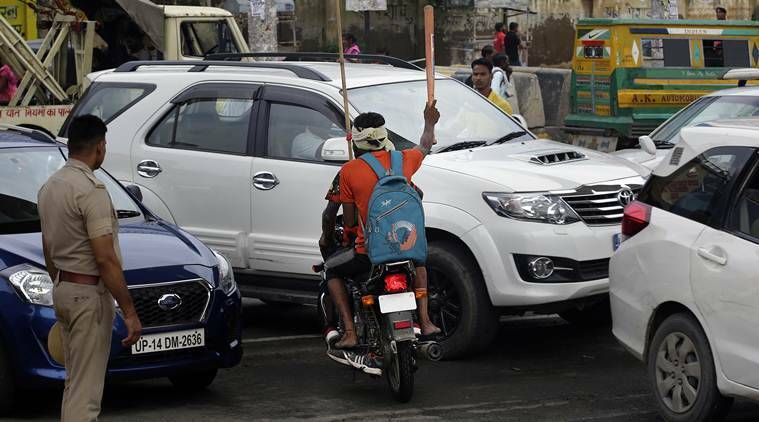 The kanwarias are in the news, for all the wrong reasons – for smashing vehicles, including a police van, stopping traffic and causing mayhem on the roads. 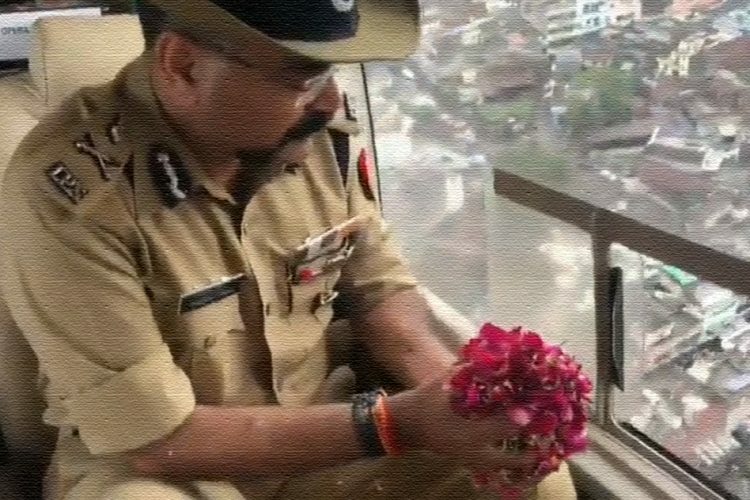 The police in U.P., where the vast majority of kanwarias are to be found, are helpless spectators, with senior officials showering rose petals from helicopters on the “pilgrims”. Soon after assuming office last year U.P. Chief Minister, Yogi Adityanath, had directed police stations along the various kanwarias routes to extend all hospitality to them. The previous Govt of Akhilesh Yadav, to the contrary, had banned the use of DJs used by the kanwarias, because of the threat to law and order. There seems to have been a “Pilgrim’s Progress” very different from John Bunyan’s novel of 1678, about an allegorical journey of Christians to attain salvation. All major religions have some form of pilgrimage, be it a kanwarias yatra, a Kumbh Mela, a Haj to Mecca, or for Christians a trip to the Holy Land in Palestine/ Israel. But there seems to have been a regression, rather than progress in the manner that these “pilgrimages” are organised. Our ancestral house in Kanpur was situated at the junction of the Mall Road and the Canal Road, Noronha Crossing, named after my family. The Canal Road was alongside the Lower Ganges Canal that originated in Haridwar, and rejoined the Ganga at Kanpur. As children, 60 years ago, we heard the chants of “Bam Bole”, the holy cry of the kanwarias. They were usually bare footed. The kanwar was a split bamboo pole that bobbed with their strides. There were containers at both ends, one for personal effects, and the other for carrying the holy water. The kanwars were decorated with radiant peacock feathers. With pilgrim’s progress they started wearing white keds, and some took to cycling. From images of today’s kanwarias we find that they seem to be rushing or racing, hurtling on motorcycles, without helmets and often three at a time. The DJ music blaring from truck mounted loudspeakers is anything but devotional. Ironically, these pilgrims are devotees of Lord Shiva, who is also addressed as “Bhole”, the simple one! But these modern day pilgrims are anything but simple. Earlier, in Kanpur, the Durga Pujas were limited to the Bengali community, the biggest one being organised right in front of our house. Today there may be hundreds, if not thousands of Durga pandals, with idols made of plaster of paris and painted with lead and chrome heavy metals that pollute the sacred river. It is ditto for the Ganpathy festival that was earlier a Maharashtran devotion. Now every mohalla competes with the other to be more raucous, with coloured powder strewn across the roads, and causing traffic jams. Some popular devotions have little or no scriptural basis. Santoshi Mata was popularised after the 1975 movie “Jai Santoshi Maa”. A Shankaracharya recently objected to the Sai Baba devotions, as they are not Hindu. Come Moharram, we have over one lakh paikis racing on the roads. They are armed with chains, bells and swords, a terrifying sight. The police cordon off the roads, to ensure that the paikis stick to the beaten path. Among Catholics there is the Corpus Christi (Body of Christ) procession. Though the feast is in June the procession is taken out at the end of November. Most Catholics don’t know its origin or significance. In 2016 there was a horrific rail accident about 50 kms from Kanpur. There were 100 corpses (bodies) and several more injured admitted to the city hospitals. I appealed for blood donors. Among others, one Catholic priest came forward. However, my appeal to the priests to call off the procession in the circumstances fell on deaf ears. I find such pilgrim’s progress abominable, whichever religion it be. Swami Agnivesh (the same one beaten up recently in Jharkhand by saffron brigade goons) had once said, “We need more of spirituality and less of religiosity”, the type exhibited on our roads today. This is a ticking time bomb, leaving all of us on a short fuse. It is time then for all forms of religious processions to be banned on public thoroughfares. 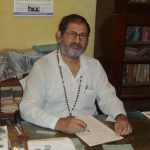 * The writer is the President of the Kanpur Catholic Association. Previous story Reactions from Readers!